Guests connect with free Wi-Fi and wake up to a free breakfast buffet at the non-smoking Holiday Inn Express San Francisco Union Square. A classic exterior with turrets greets guests at the five-story non-smoking Holiday Inn Express where all 59 colorful rooms supply free Wi-Fi and 48-inch flat-panel TVs as well as hairdryers in the modern bathrooms. The breakfast buffet is complimentary and other conveniences include laundry facilities concierge service and valet parking for a charge. 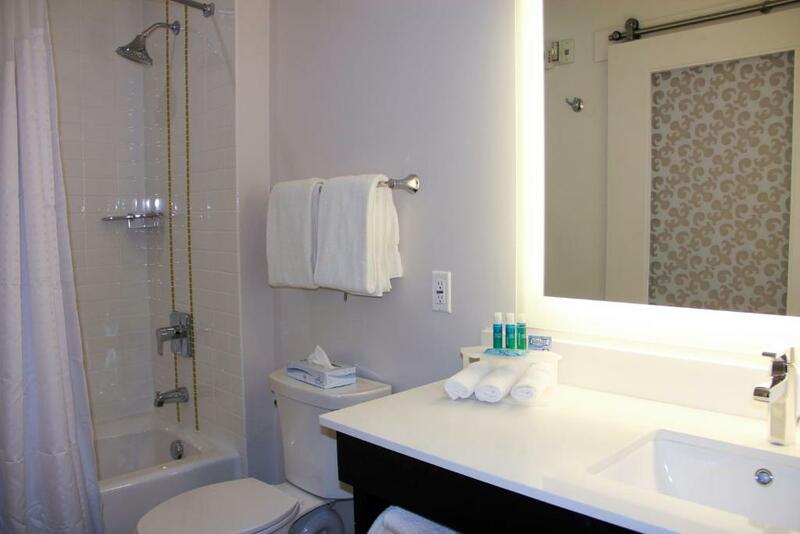 The Holiday Inn Express is a block from Union Square in San Francisco. The surrounding blocks are packed with restaurants shops galleries and theaters and the Powell Street Station BART and cable cars are two blocks away. Guests head about two miles to either catch a boat to the infamous Alcatraz or see games at AT&T Park. Take a break from the bustling city with a stroll in Golden Gate Park three miles away or soak in some culture at the Palace of Fine Arts in the Presidio just over three miles from the hotel. San Francisco International Airport is 14 miles south. 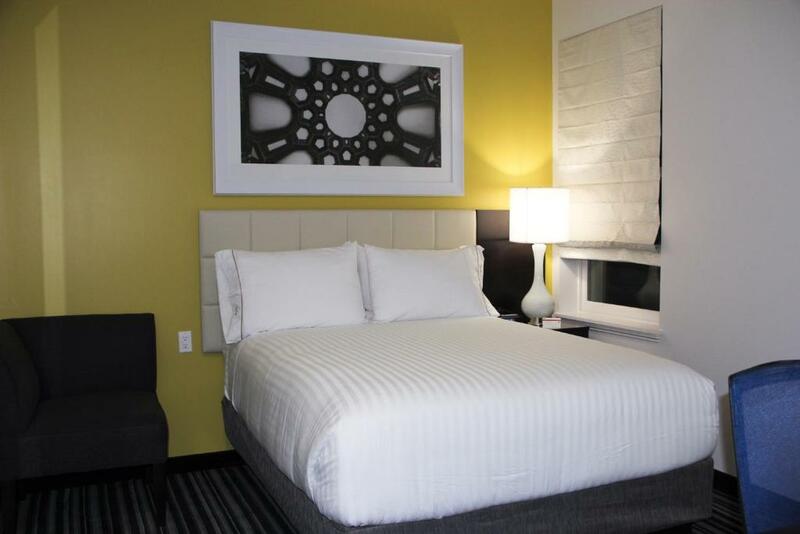 our guests say the Holiday Inn Express is well located close to public transportation and Union Square and they like the generously sized rooms and friendly staff.